Quite often circulated in the level of rumor, finally the new phone Honor Note 10 was released officially. As the name implies that has a 'frill' Note, this phone comes carrying outer screen 6.95 inch Full HD + resolution (1080 x 2220 pixels) manifold AMOLED. It's packed with a design with almost no bezel, but this phone does not adopt screen bangs. The so-called mobile phone screen supports HDR10 standard and has a 115% NTSC gamut color. 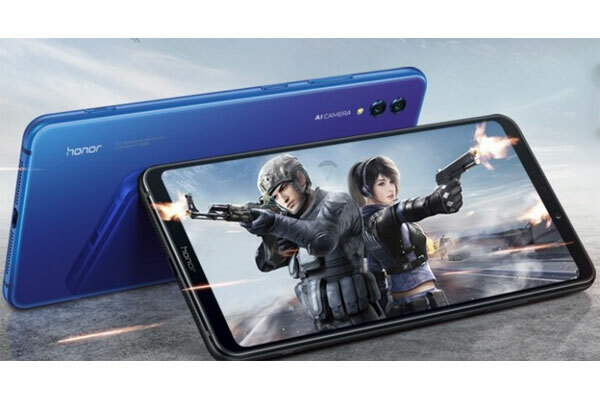 Honor Note 10 performance is powered by Kirin 970 processor with 6GB or 6GB of RAM. For the 6GB variant will come with a choice of 64GB or 128GB internal memory, while for the 8GB variant has 128GB storage. This phone has a microSD hybrid card slot. Interestingly, the chipset used mobile phone is called has implemented a PC-class cooling system that promises 41% better heat management. Of course, Honor Note 10 has been supported by the Turbo GPU. Continuing to other specs, on the photography side, Honor Note 10 comes packing dual-camera rear that has a 24MP (f / 1.8) + 16MP (f / 1.8) configuration. As for the front camera, this phone offers 13MP resolution with f / 2.0 openings. The Honor Note 10 camera feature has been supported by AI. In addition there is also a Double Turbo feature that can be used for shutter when using the camera application. Honor Note 10 runs Android 8.1 Oreo that has been sweetened with EMUI 8.2 on it. The phone is powered by a 5000 mAh battery that is already supported by Super Charge for fast charging. A little information about the price, in China Honor Note 10 sold equivalent to 409 USD for 6GB / 64GB version and 468 USD for 6GB / 128GB. As for the 8GB / 128Gb RAM version reaches 527 USD. Honor Note 10 is available in Midnight Black and Phantom Blue color variants. 0 Response to "Official! Here's a Cool Specification Honor Note 10"